The official explanation for President Trump’s firing of former FBI director James Comey in May — that Comey had mishandled Hillary Clinton’s email investigation the year before — never made any sense. Now, the New York Times and The Wall Street Journal report that special counsel Robert Mueller has obtained a letter Trump drafted to Comey in which Trump revealed the real reason for the firing: Trump was angry that Comey wouldn’t publicly confirm that the president wasn’t being investigated in the ongoing Russian electoral-interference probe. In June, Comey testified before the Senate Intelligence Committee that he had confirmed as much to Trump privately, but did not know if the investigation might reach Trump eventually. 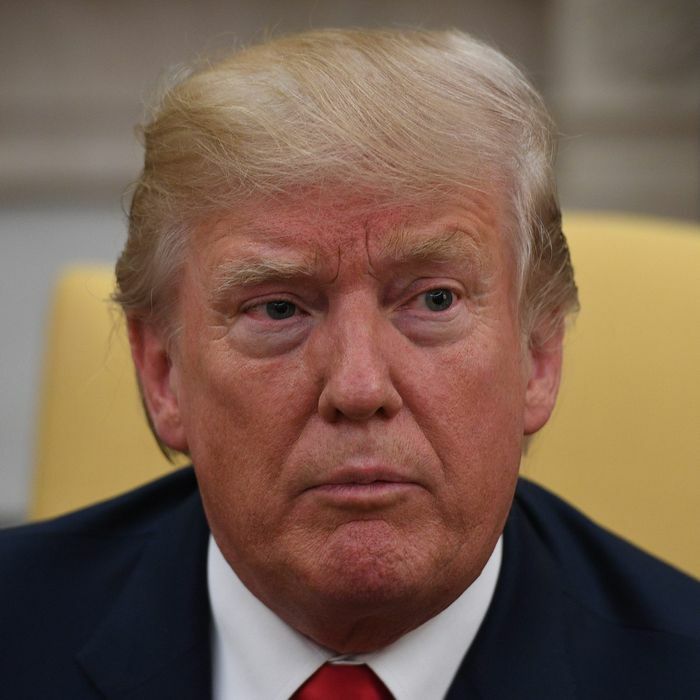 The letter, drafted in May, was met with opposition from Donald F. McGahn II, the White House counsel, who believed that its angry, meandering tone was problematic, according to interviews with a dozen administration officials and others briefed on the matter. Among Mr. McGahn’s concerns were references to private conversations the president had with Mr. Comey, including times when the F.B.I. director told Mr. Trump he was not under investigation in the F.B.I.’s ongoing Russia inquiry. Mr. McGahn successfully blocked the president from sending the letter to Mr. Comey, which Mr. Trump had composed with Stephen Miller, one of the president’s top political advisers. But a copy was given to the deputy attorney general, Rod J. Rosenstein, who then drafted his own letter. Mr. Rosenstein’s letter was ultimately used as the Trump administration’s public rationale for Mr. Comey’s firing, which was that Mr. Comey mishandled the investigation into Hillary Clinton’s private email server. The revelations cast Rosenstein in an unsavory light, since he appeared willing to go along with the phony explanation for Comey’s firing — though the Times account implies that he was genuinely concerned about Comey’s handling of the Clinton email scandal. Rosenstein also later appointed Mueller, largely seen as incorruptible, to investigate Trump’s behavior surrounding Russia. Mueller is now investigating — among many other things — whether Trump obstructed justice when he not-so-subtly asked Comey to end the investigation into former national security advisor Michael Flynn. Trump had pretty much admitted the motive for firing Comey to NBC News back in May, telling Lester Holt that he was thinking of “this Russia thing” when he made the decision. He also told a group of Russians that Comey was a “nut job” whose absence would mean that the president wouldn’t face any more pressure over the Russia investigation. But, of course, Trump’s ill-considered decision made his legal problems much worse.